You’ve got your heart set on Berlin as the place you want to be. You know what industry you’re aiming to get a job in and how you want to apply for it. So… how do you get there? And how do you get around the city once you manage that? Berlin is serviced by two airports: Tegel (TXL) and Schönefeld (SXF). Neither of them are what you’d call fancy, or even nice, but they are easy to get to and to get out of. Tegel is in the north of the city, while Schönefeld lies to the south. 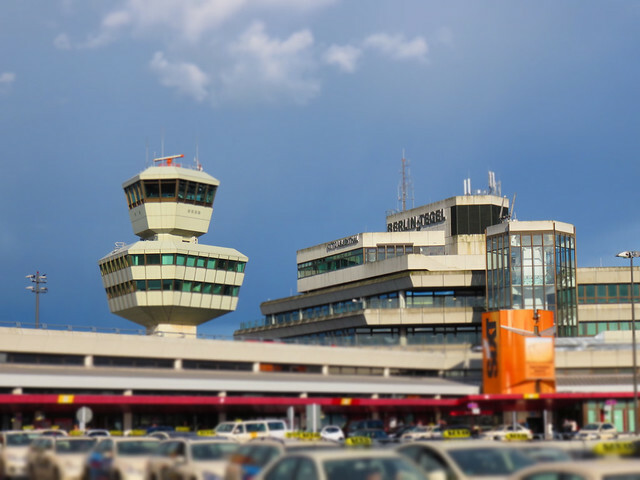 The city has been building — or at least attempting to build — a large international airport, BER, for the last 11 years and has missed three planned opening dates. There’s an excellent podcast about it called How To F#€k Up An Airport if you want to hear the litany of things that went — and continue to go — wrong for the ill-fated airport. Tegel is served by a series of bus routes — TXL JetExpress Bus, X9 JetExpress Bus, 128 and 109. These connect you to the city’s underground (U-Bahn) and commuter train (S-Bahn) networks which will get you where you’re going. Schönefeld is served by tonnes of public transport options. Commuter trains S9 and S45 will connect you to main transport lines in the city. Regional trains RE7, RB14 and RB22 will all bring you straight in to the city centre (Alexanderplatz / Hauptbahnhof). The X7 and 171 buses connect you to the U7 underground line. There are other bus routes that will connect you to other parts of the city — just see the BER website for details. Berlin’s main train station is called Hauptbahnhof — that’s German for main train station. Cryptic, I know. From there, you can get trains to and from pretty much most places in mainland Europe. You can also take national and international trains from smaller stations in Berlin, namely Südkreuz in the southwest, Ostkreuz and Ostbahnhof in the east, and Gesundbrunnen in the north. The German train network is operated by Deutsche Bahn (German Rail) and there a few different types of trains you can take. Regional trains routes are denoted by the letters RE (Regional Express) which connects major cities and RB (Regional Bahn) which connects smaller towns. The ICE (InterCity Express) is a high-speed train which connects major cities at speeds of approximately 320kph (200mph) stopping in several destinations along the way. And the relatively new ICE Sprinter trains connect Berlin, Hamburg, Frankfurt, Cologne, Düsseldorf, and Munich with no stops in between cities. This cuts down travel time significantly. Berlin’s main bus station is rather amusingly called ZOB or Zentraler Omnibusbahnhof. It’s located in the west of the city and is served by the U2 underground line, the Ringbahn commuter train, and by local bus routes M49, 139 and 218. Once there, you can reach any number of destinations with companies such as Berlin Linien Bus, MeinFernbus / Flixbus, Deutsche Touring / Eurolines, and Postbus. If you’re the kind of person who prefers to sit behind the wheel yourself, then you can of course drive to and from Berlin. The A10 Berliner Ring autobahn loops around the city and connects to all the major motorways out of the city. The A111, A113 and A115 all connect to the Berliner Stadtring (A100) which forms a half-circle to the west of the inner city and is one of the busiest stretches of motorway in all of Germany. Berlin’s public transport system is fantastic, and while locals will grumble about it, most out-of-towners will likely hail it as a marvel of German efficiency — until, that is, they get used to it. Here are the main ways you can get around. 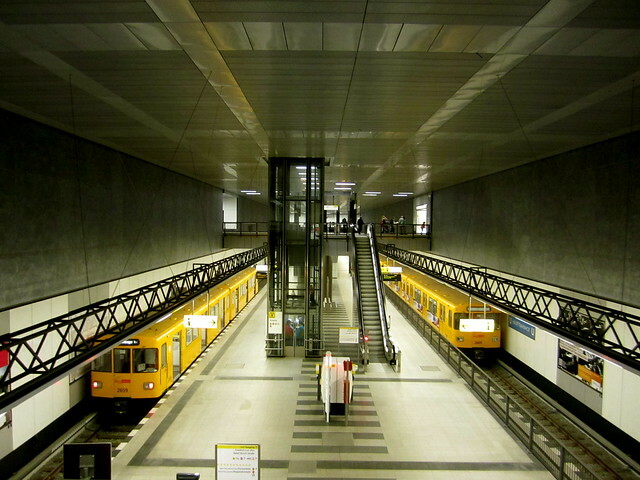 The U-Bahn — short for Untergrundbahn — is Berlin’s (mostly) underground rapid rail network. It’s operated by the BVG or Berliner Verkehrsbetriebe — an organisation known as much for its merch and funny advertising as it is for its trains. It comprises 9 lines and 173 stations across the city, and can mostly be relied upon to get you where you’re going. On weekdays, most U-Bahn lines run from 4am till 1am with night buses taking over their routes during the fallow hours. At the weekend, it runs all through the night. Prepare to become familiar with the distinctive pattern of its upholstery and a host of interesting-looking characters on your route. The S-Bahn (Stadtbahn) is the overground commuter train network. It’s run by a subsidiary of Deutsche Bahn called VBB or Verkehrsverbund Berlin-Brandenburg and has 15 routes that serve stations across Berlin and Brandenburg, the state that surrounds Berlin. From personal experience, the S-Bahn is far more likely to be out of action than the U-Bahn so always make sure to check its status before you plan your trip. The bus network is also run by the BVG and basically goes all the places that can’t be quite reached by the U- and S-Bahn routes. The route numbers are denoted by an M or an X — or N, if the bus is running at night. The tram lines in Berlin only run in the former east of the city which is a handy cheat for figuring out which side of the infamous wall you might be on. They’re a nice way to get around as they’re more predictable than buses and you get to take in a view of the city while you’re on your way. Word of warning for newbies though: some of them do just stop in the middle of the street so watch your step when you’re getting off. The VBB also operates 6 ferry routes, but considering you’re about as landlocked as you can get in Berlin, you’ll probably never have to use them. And if you’re feeling the need for something out of the ordinary, there’s even a cable car that crosses Erholungspark Marzahn. New York has yellow taxis, London has black cabs, and Berlin’s taxis are a mildly unnerving shade of cream. Taxis in Berlin are relatively expensive, probably because getting around via public transport is such a breeze but can be very handy when you need to get somewhere stat. Since June 2015, Berlin taxis have operated on a standard base fair of €3.90, and each of the first seven kilometres costs €2.00. Each subsequent kilometre costs €1.50. Allowing for potential extra charges for bulky luggage, this allows you to estimate your fare pretty accurately before you even get into the car. Keep cash on you as you can’t be guaranteed that the driver will take card. Alternatively, you can use an app like Mytaxi which allows you to pay via app and keep track of your favourite drivers. Services like Uber have been fighting losing battles in Berlin, so you’re probably better off just hailing a regular cab. If you’re in the mood for living a continental European dream but don’t want to own an actual scooter, there are a number of services that have popped up in Berlin over the last few years — COUP, Emmy, and unu to name just a few. Download the app, pop in your details, and off you scoot! Car sharing services like DriveNow, ubeeqo, and car2go all operate on the same principle. This is another, slightly more manual, option for those banking on the sharing economy. The old bike-sharing service operated by Deutsche Bahn was retired last year and replaced by a number of really solid bike-sharing services like LIDL-Bike, DEEZER nextbike, Mobike, LimeBike, Byke and Donkey Republic. You’ll see these bikes parked in various locations around the city and can rent them via app or station terminals. 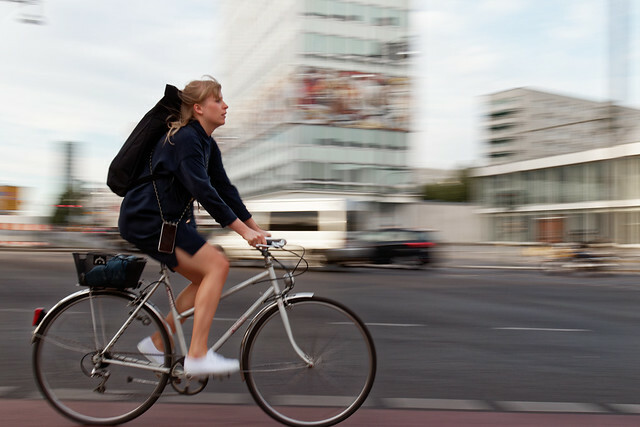 If you’re planning on sticking around in Berlin however, it’s a good idea to invest in a bike. It’s the best way to experience the city — at least during the balmy summer months — and will make you really feel like a local. Don’t buy something brand new and shiny because it will most likely be stolen. Instead, opt for a second-hand model either via a shop or try your luck with classified ads such as eBay Kleinanzeigen. You can also probably pick one up at a flea market, but just bear in mind that there’s a high likelihood it will have been stolen. Once you have your wheels, Berlin opens up in a way that you just won’t experience with any other mode of transport. The city is almost completely flat and has pretty decent cycle lanes so it’s really a great city to cycle around. Just invest in a really, really, really good lock or three to make sure that your bike stays yours. And beware of tram lines — every cyclist’s nightmare.